Spain is, of course, famous for tapas – and it comes in all shapes and sizes. 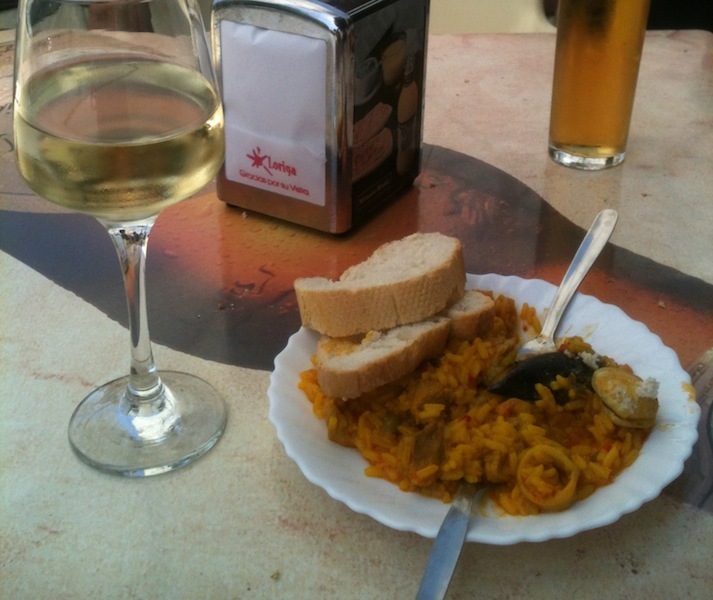 In parts of Andalucia – and especially Granada province – it’s free with drinks ordered. It’s a great way to eat as food is spread out over time which stops you falling asleep at the table, having consumed a plate of food in one go. 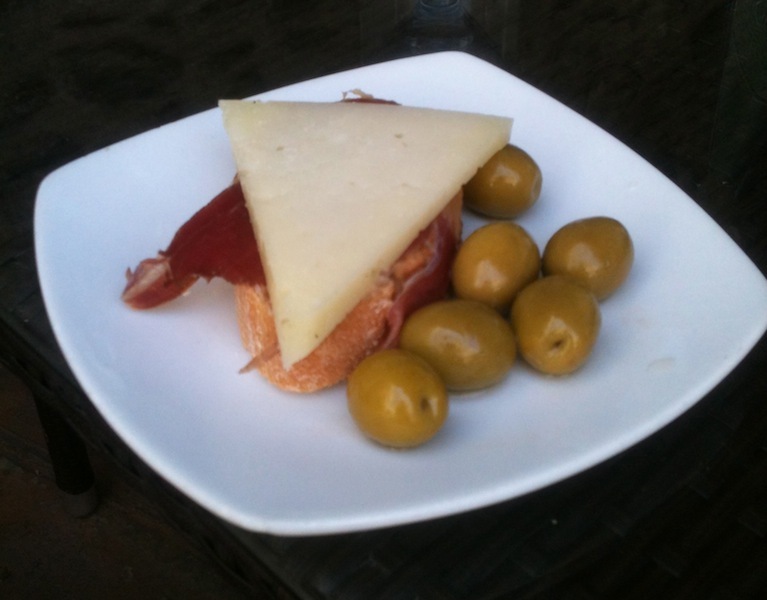 The word tapa means ‘cover, originally thought to come from small plates used to cover food to stop flies reaching it. 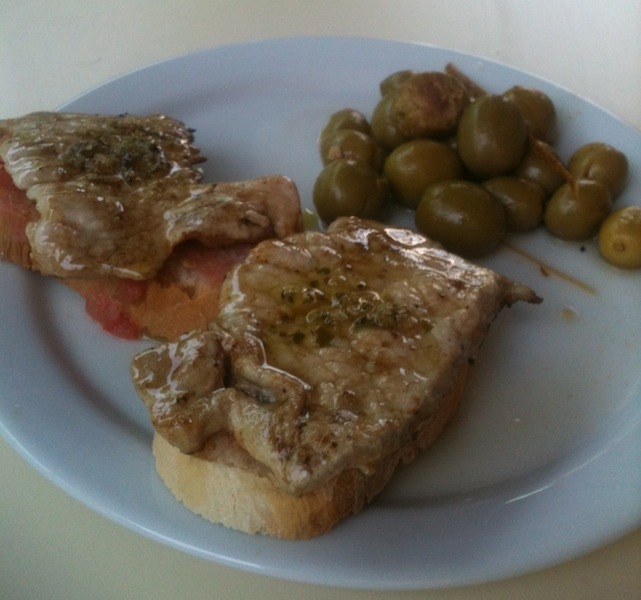 We’ve tried many of Órgiva’s bars and the tapas, on the whole, is good in all of them. It’s not the ‘trendy’ type you get in, say, Valencia – it’s generally more simple – like small plates of paella, pan con jamón and stews of pork and potato. If you have more than one drink the tapas changes. Some bars let you choose your tapas but it’s more fun seeing what turns up each time. Our favourites are Ensalada rusa (russian salad – basically potatoes, tuna, olives and mayonnaise); Pescadito frito (fried fish – ours came with pickled beetroot) and grilled sardines. 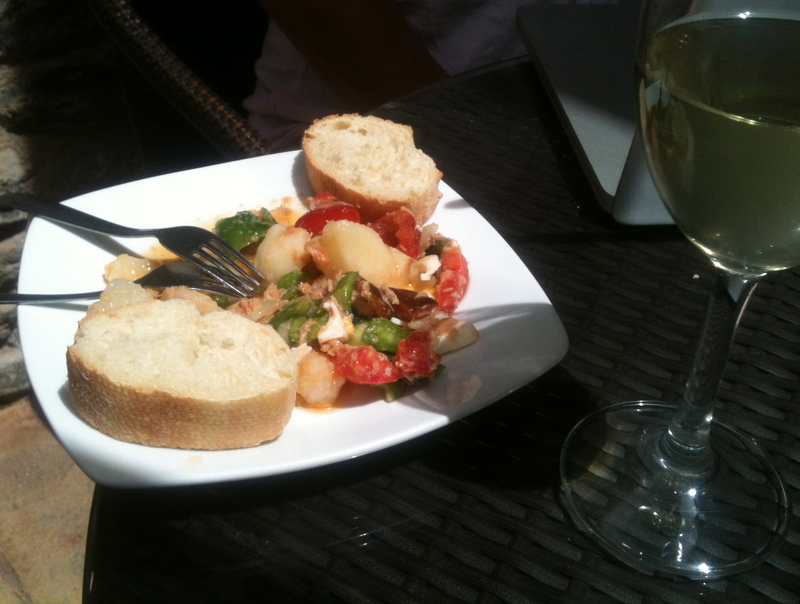 Below are some photos of the type of tapas to be found in Órgiva – and here are some great posts about tapas on blogs we know about: Hola Yessica, East of Malaga and piccavey.com. These guys know far more about tapas than we do, having lived in Spain for much longer than us. Hopefully in time – with a few trips around Andalucia – we’ll have experienced a whole lot more.